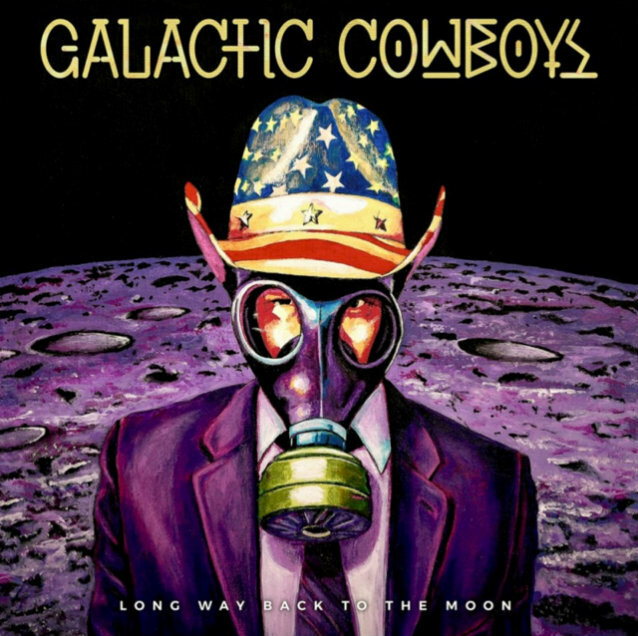 Galactic Cowboys are back after 17 year hiatus! Their new song/video - Internal Masquerade - was just released yesterday and the full album, Long Way Back to the Moon, comes out in November. And it's the original line-up with guitarist Dane Sonnier! Re: Galactic Cowboys are back after 17 year hiatus! Song is pretty good but was hoping for a solo. Either way it's awesome to have them back with Sonnier - once he left their records where just kind of meh IMO. Those first tow are still awesome though. I'll never forget seeing them open fro Dream Theater in 1993 - they won me over. This is great news. FYI though, they've been playing reunion shows together for the last decade or so, although just in Dallas, Houston and Austin. But yes, a long hiatus on new material or an album. I played in one of the Galactic Cowboys spin-off bands during the hiatus, Monty Colvin's "Crunchy". He recorded 3 albums under the Crunchy name from about 2001-2007, I played bass for him and did vocals for live shows from January 2007-October 2009. I also appeared in 3 videos to support the 3rd Crunchy album. It was always great to actually play in a band with one of my main musical influences. The weirdest part for me was that Monty was a groundbreaking bass player for GC, but he wanted someone else (me, in this case) to play bass in his solo band. I kinda felt like that guy who played bass in Sting's first solo outing. Anyway, it was great to do and I have several fond memories about it. I will have to pick up this new GC album. BTW, anyone who's interested in seeing it, here's the best of the 3 videos I did with Monty and Crunchy. I'm the guy with the beard and the blue bass, enjoy!